← Made in the U.S.A.
Time For Me To Fryyyyy! Do we have the timeless (yes, timeless!) 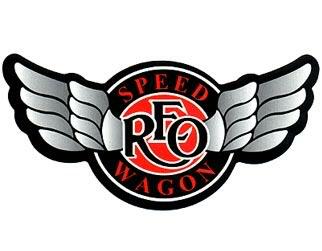 REO Speedwagon song stuck in our heads this week? Yes. What does it have to do with frying? Aside from the regrettable pun, not much. But hey, we’ll take any opportunity we can to talk about REO Speedwagon, and we needed a catchy tune to sing while tackling our very important subject this week — the finer points of buying your next frying pan. Fry pans are often referred to interchangeably as saute pans, omelet pans or skillets. In this, the deviled egg is in the details: the term saute means “to jump”, and implies a quick fry, and saute pans generally feature higher, straighter sides. In contrast, fry pans have shorter, sloped sides to remove food easier. Both require close proximity to the heat source, leading to the inevitable name mix-and-match. In other words, you can saute in a fry pan, but you’ll have trouble frying in a saute pan. Take a look at the photo below – imagine trying to retrieve your French toast or delicate piece of fish from a high-sided saute pan. Without being able to safely come at the food from the side, you are sure to have a tough time. First, forget everything you’ve heard about choosing cookware based on its ability to make it through a dishwasher cycle. Performance should be graded on how the pan matches your meal, not how it holds up to Arm and Hammer. As you can imagine, we strongly urge hand-washing of most cookware pieces. Many pieces have specialty cleansers, like Bar Keepers Friend for stainless steel, that you can use. (You can also read more about our cleaning tips here.) If you are truly averse to hand-washing, have a few kids and make them do it. (And really, why else would you have kids?) Now, let’s see what these pans are made of! Iron is the oldest known metal for cooking. It is never used in its pure form — rather, it is mixed with other materials to yield cast iron or steel. Cast Iron is the most widely known form of iron cookware. With cast iron, molten “pig iron” (iron ore smelted with a high-carbon fuel) is poured into a mold and allowed to harden. The result is a very porous material that requires treatment (seasoning) prior to regular use, to seal the pores and keep foodstuffs from becoming embedded in the iron. Although cast iron takes a while to heat, the advantage is that, once heated, it will remain very hot for a long period of time; as such, foods that require high heat are best cooked in cast iron. Iron also has magnetic properties which allow for its use on induction cook tops. As it is a reactive material, cast iron should never be used with acidic foods. When well-seasoned (remember grandmother’s?) it becomes black and markedly more stick-resistant, but since the seasoning coat absorbs flavors and odors, these pans are best reserved for a single category, such as fish or eggs. Cast iron pans are notoriously tough, and for good reason. A little rust is no reason to throw away the pan. Just sand down to the bare metal and re-season. We carry the Lodge line of cast iron cookware (seen in the photo), which comes pre-seasoned. However, given the lifespan of cast iron and the inevitable wear placed on it, you’ll definitely need to re-season it as time goes on. And time most certainly does go on for cast iron. A properly cared-for cast iron pan can last more than a generation. Enameled cast iron has similar properties, but requires different care. It can’t take the high heat you can give raw iron pans, and will easily chip if banged or dropped. It does make a great serving piece and also retains the same heat distribution qualities as raw iron. 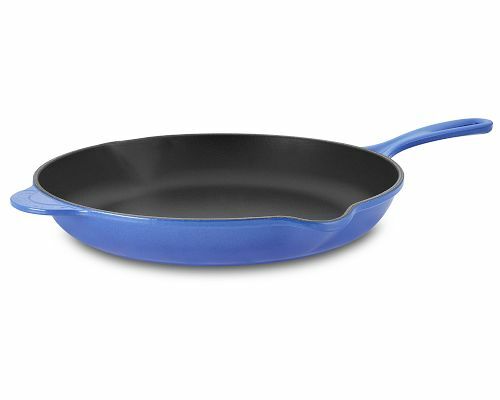 Le Creuset has become world-renowned for their beautiful enameled cast iron cookware (especially French Ovens) but their fry pans (below) are also popular. Steel, one of the top selling options for fry pans, is a tough alloy of iron and carbon. While steel alone is quick to heat, and can stand high heat, that heat doesn’t distribute very well when used on the stove top. This is why you will frequently see it paired with another, better heat conductor, such as aluminum. Blue (or black) steel is obtained through high heat which causes oxidation to form as a thin layer on the surface of the metal. This allows for better and faster heat absorption and transference to the food. Once seasoned and in constant use, a steel pan will naturally become blued. To clean and store, follow the same instructions as for cast iron. Like cast iron, blue steel is a reactive metal and does not work well with acidic foods. But it makes up for this deficiency with magnetic properties, making it induction-friendly. It is frequently covered with enamel and often called graniteware or enamelware. Sometimes it is “aluminized, ” that is, hot-dip coated with aluminum. And often it is coated with some sort of non-stick finish. Stainless Steel is an iron alloy made resistant to corrosion by the addition of chromium and other compounds. Its primary disadvantage is that it is an even poorer conductor than steel, so that constant movement of the food is required in order to cook it evenly. 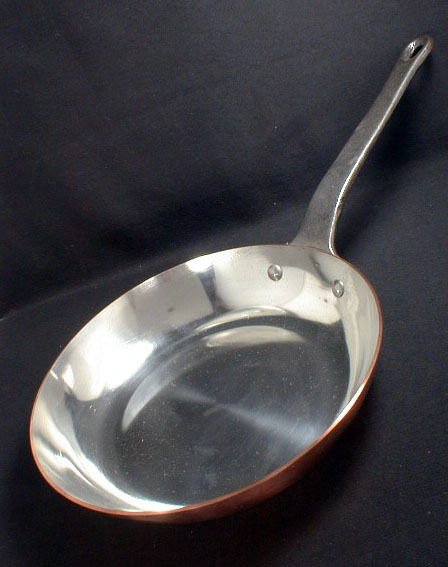 To make stainless utensils better equipped for heat conductivity and distribution, a layer of conductive material, such as copper or aluminum, is often added to the bottom of the pan and, sometimes, all around the pan. (The latter type of pan, known as a fully clad pan, is far better at even distribution of heat.) The heat-conductive quality of stainless is about one tenth that of copper and about one fifth that of aluminum. On the other hand, one of the biggest advantage of stainless steel pans is that they are fairly inert and thus will not generally react to change the taste and color of even the most acidic foods. There are many varying qualities of stainless steel. You can easily make do with the lesser ones for most oven use, since heavy weight and heat distribution may be less important when the pan is enveloped in the even heat of an oven. For stove-top cooking, though, don’t skimp on quality: Buy only the better ones. Features to look for include: metal handles, thick heat diffusing bottoms, 18/10 grades and a lifetime warranty. 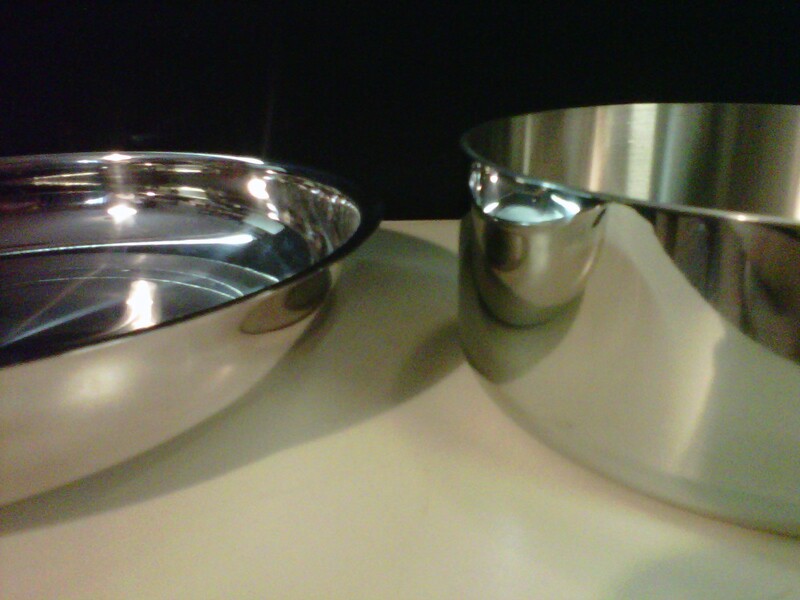 Oh, and did we mention how handsome stainless steel looks when clean and polished? Copper is the finest practical conductor of heat for cooking. It requires only low to moderate heat to generate the best results — no need to turn the stove up. Copper has about ten times the heat conductivity of stainless steel and glass, and twice that of aluminum. Because it is so reactive, think of it as the opposite of a cast-iron pan, which you can blast with high heat. Because it is a soft metal, a heavy gauge is more desirable for utilitarian reasons. Copper can come either hammered or rolled – hammering is preferable, because it makes it stronger and able to withstand many more years of use. Its primary disadvantage is that it is reactive to acidic foods. To counteract this, it is usually lined with another metal, the most common and practical of which is tin, which, unlike stainless steel or nickel, can be readily refurbished. Stainless and nickel linings in French copper are very durable, in comparison to tin linings, and also very expensive. In general, we recommend tin for all copper pans. However, because tin melts at about 450°F we often recommend stainless for frying (and maybe sautè) pans, which receive more direct heat that is not dispersed by liquids. If you use wooden or other “soft” non-scratching utensils, and use moderate heat under your tin-lined copper, the lining will last for years and years before it needs refurbishing. Always place food and liquid in a lined pan before it gets too hot so that it will absorb heat and prevent damage to the pan’s lining. It’s not absolutely necessary that you keep the copper bright and shiny; just keep it clean. Though commercial copper cleaners work best, you can also whip up your own paste using a little flour, salt and water. Aluminum is the most abundant metal on the earth’s crust, and the third-most common element. It is silvery-white, light, non-toxic, and easily machined or cast. The best heat conductor next to copper, it is very widely used in cooking utensils because of its advantages of great conductivity, lower cost and great strength. Aluminum utensils can either be made by casting or by rolling, and they are easily anodized or covered with a non-stick surface. Aluminum is a reactive metal, and its primary disadvantage is that acidic foods should not be cooked in it for any length of time. For this reason, you will often see aluminum interiors in stainless steel pans. Anodized Aluminum is great for corrosion resistance, abrasion resistance and aesthetic reasons. In other applications, aluminum is anodized for insulation from electricity or adhesion. The resulting surface is hard (comparable to a sapphire), transparent (similar to glass), insulative and static-resistant, integral with aluminum surfaces and non-flaking, with a wide variety of colors and finishes. Anodized aluminum, like most metals, can be scratched or gouged. Damaging the surface of anodized metals in this way will remove the anodized coating in that spot. Non-stick skillets are a mixed blessing. High heat can glue food to a pan as it cooks. Nonstick pans resist such bonding, which is great for the convenience of cleaning, especially when you want to use the pan again a moment later. The down side is that deglazing is not as satisfying since the “brown bits” mentioned in recipes are produced by letting food stick to the pan – the very thing nonstick pans were created to resist. Nonstick pans are great for eggs and egg-based dishes, starches, cheeses, and for cooking in batches – a simple wipe can clean most gunk off a nonstick pan, meaning leftover bits and pieces won’t get overcooked or burned in subsequent batches. Now that you know the materials and how each will react, you should be able to form a decent judgement of which type of pan you’ll need to execute the kind of dish you’d like to prepare. Obviously, any material with a stick-resistant surface is great for preparing eggs. Looking to get a nice sear on a piece of meat before finishing it in the oven? Think stainless steel sandwiched around an aluminum core. And of course it is always a great idea to give yourself options when it comes time to fire up the stove. Every home chef should have at least two skillets, one large (10” or more) and one small (10” or less). Recent additions to the cookware field, like the Cuisinart Green line which we are showing for our in-store demo this week, have a ceramic-based nonstick coating. This allows you to prepare, say, a fluffy frittata on the stove top and pop it under the broiler to brown the top. Because the nonstick coating on the Green line is oven-safe, it won’t be damaged in the process. The rest of your choices and combinations are limitless, so be sure to give us a call or stop by if you have other questions about finding the right fry pan. Happy Cooking!